One of the most successful books I have written is the 340-page scriptural handbook Background to the Gospels. Its English editions reached a circulation of well over 60,000. The book was also published in Telugu, Urdu, Malayalam, Kannara and Hindi. This is a brief account of how it came about. It all began one morning in – I believe – 1968 when Eddie Bennett, my colleague in St John’s Major Seminary Hyderabad, reported a curious incident. He had been saying mass for a small community of Indian sisters in Ramnagar. At breakfast, the sisters came to talk to him. The sisters were astounded when he told them there are four. “Never heard of them!”, they said. The incident struck me as highly significant. I had been teaching our seminarians rather sophisticated scripture courses on topics such as ‘the prophecies of Trito-Isaiah’, ‘the Deuteronomic work of history’ and ‘the Pauline Pastoral Letters’. Was I overlooking the teaching of more basic material? In what country and province lay the city of Jerusalem at the time of Jesus? Was Herod the Great a Jew? How many Beatitudes are there? (a trick question: Matthew has 8, Luke 4). How long did it take Jesus to travel by bus (!) from Nazareth to Jericho? Everyone failed. Many got all questions wrong. I realized I had overestimated my students’ knowledge. Drastic action was called for. I planned a new course about the Gospels that took absolutely nothing for granted. 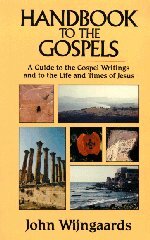 It would describe everything in detail: the geography of Palestine in Jesus’ days, politics of the time, the origin and characteristics of the four gospels, the temple of Jerusalem, Jewish feasts, religious leadership, articles the Jews used in daily life, the language Jesus spoke, Jesus’ way of teaching, parables, miracles, and so on. Everything. Eddie Bennett was delighted. “But why should only the seminarians benefit?”, he said. Eddie was catechetical director for the Archdiocese of Hyderabad. 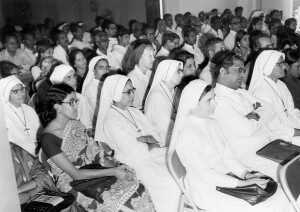 We had hundreds of religious sisters running schools, clinics and hospitals. “They too should benefit”, he said. I agreed. But just giving talks was not enough. I had to give the material in writing, in print. Otherwise the information would remain woolly, sketchy, imprecise. Names, facts, figures were involved. And much of it would need to be shown in illustrations. Only print would do. So I decided to type and draw the contents of the course on stencils. Stencils were sheets of a thin plasticky substance in which letters and drawings could be punched as holes. When a stencil was placed on the drum of a stencil machine, through these holes ink could be forced on sheets of paper. It was the best way, at the time, of duplicating text in print. Remember that photocopying had not yet been invented. And as it happened I had brought a stencil machine with me on the long sea journey from the Netherlands to India . . . But typing or drawing on stencils was a laborious process. Small mistakes could be undone by pouring so-called correcting fluid on characters that needed re-typing. But correcting whole paragraphs or moving text from one place to another within a document was impossible. Once typed, text stayed where it was and how it was. Working as I do now with modern software on an up-to-date computer, I shudder when I think of the problems I faced when writing courses on stencils . . .
“Background to the Gospels” started life as a course of twenty lessons, each requiring 8 stencils printed on both sides of 4 full-scap pieces of paper. I began creating the lessons for the philosophy section of my students in the seminary, but it was the outside catechetical course that would really drive the whole process. 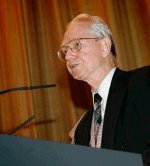 For Eddie Bennet had announced a course on the Gospels for religious sisters that would run for twenty consecutive weeks. As I got the first lesson ready on the day before the course was to be delivered, I consulted Eddie on how many copies I should print for the sister participants. So with a heavy heart and carrying printed copies of my precious first lesson – 20 copies we thought to be on the safe side – we set off to St Ann’s Convent school in Secunderabad where the course was to be presented. You can’t believe our astonishment when not 8, nor 20 but 200 sisters turned up for the course! The venue had to be changed to a larger hall, and even that was packed. Interest in the course proved overwhelming . . . The printed sheets of paper were treated like gold. Afterwards, Eddie spent a whole day printing another 200 copies and taking them round to the various convents which participants had come from. The following week 300 sisters had joined the course. And we were asked to print at least 400 copies of the lessons so that a number could be sent to convents in outlying districts, after the lessons had been absorbed at home. The demand was obvious. It made my task really worthwhile, but also daunting. For twenty weeks in succession I had to turn out lessons of 8 stencils each, carefully filled with reliable information. And my sources were limited. The seminary library was primitive . . . Fortunately I had brought some useful biblical books with me from Rome. Delivering my lessons to such an intelligent and interested audience also had its rewards. From questions and discussions after the presentation, I learned what more needed to be explained. It made subsequent lessons much more reflective. It forced me to face the more difficult issues of oral gospel transmission in the early Christian communities, successive interpretations and re-workings of Jesus’ words, accuracy and reliability. The success of the course led to further demands. Shouldn’t the lessons be made available to more people? I agreed. The exact sequence of events during those first months are somewhat vague in my mind. What I do remember is that I had to take some crucial decisions. At that time I was already heavily engaged with religious congregations as the moderator of the CRI for Andhra Pradesh (see my chapter on Jeevan Jyothi). In consultation with various provincial superiors I decided to make the course available as a correspondence course for religious. Someone – I forget who it was – advised me not to publish the course under my own name. “You did not create it for your own glory”, he said. Now it was true that Catholic books were often published without the name of the author. ‘Spirituality for Beginners by a Carmelite’ is a famous example. And we still don’t know who, just before World War II, compiled ‘History of the Telugu Christians by a Mill Hill Father’. For a long time that evening, under a wonderfully starry sky, I walked on the flat roof of St John’s Seminary. After considering all aspects of the matter, I came to a firm conclusion. I would publish under my own name: vain glory was not at stake but my responsibility for the work as its author. Moreover, once my name would get known, it would help me reach more people through my writings. So every single lesson bore my name as the author. The lessons for the correspondence course were, if I remember well, printed in Bangalore, three thousand copies of each. When the course was publicized among religious orders, all 3000 copies were immediately subscribed to. The Sisters of St Joseph of Tarbes at Bangalore agreed to look after the distribution. This meant that their novices spent many hours each week to send out the lessons. Because there were no typewriters leave alone computers, they needed every week to write out by hand the names and addresses of all subscribers on envelopes, enclose the relevant material in each, lick and fix stamps, then take the bundle to the post office. Their free service made it possible to reduce the cost of a course to printing and postage. To make the course more interactive, I designed a page of questions at the end of each lesson. In a fit of enthusiasm I added at the end of the first lesson: “Do you want to ask any question about the matter discussed in lesson one? – If so, send your question to Fr Wijngaards (my address was given).” I was overwhelmed by literally hundreds of letters. I realized I could not cope with such a commitment, so the offer was omitted in subsequent lessons . . . I realised that that was good advice. So I looked around for the best publisher. It so happened that, on my way to the Netherlands where I was to enjoy a two-months’ break, I had to pass through New Delhi. I took a full copy of the printed lessons with me. I was wondering if the Fathers of St Paul, who owned a major bookshop and printing facilities, would publish the book. Father Patrick the Souza, then Secretary-General of the Indian Bishops Conference, introduced me to St. Paul’s Superior who accepted the project. “Let’s draw up a contract”, I said. 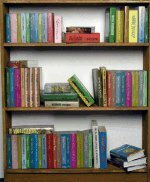 I was used to this because of the books I had published in the Netherlands: with publishers such as Brill (Leiden), Romen & Zonen (Roermond), Bosch & Keunig (Baarn). I gave in. 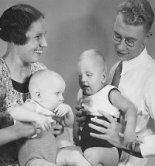 Getting a prominent publisher as the St Paul’s Fathers attracted me. Yes, this was an apostolic venture! So I accepted the publication offer without insisting on a contract. With hindsight, that was a mistake. When I returned from the Netherlands, again via New Delhi, I found that the Paulist Fathers had published “Background to the Gospels”. It lay for sale in their prestigious bookshop at Rs 22,00 a copy. Twenty-two rupees at that time was a fortune for most people. It equaled a week’s pay for an ordinary workman. It put the book beyond the reach of many religious sisters, priests, catechists and religion teachers for whom it was intended. “You are not trying to get a profit”, Patrick had said. But now the Paulists had turned it into a money-making project. They were profiting from it. So I withdrew the copyright from them while allowing them to sell off the copies they had printed . . . While I had been away in the Netherlands, a chance encounter brought new opportunities. My mother and I visited a cousin of hers: Brother Bellarminus who belonged to the Teaching Brothers of Utrecht. We met him in the Gregoriushuis at Zeist, a Dutch publishing house for catechetical books run by the Teaching Brothers. Bellarminus was one of the producers. We were sitting in a visitors’ parlour enjoying a cup of tea and biscuits. I narrated my work on Background to the Gospels and outlined its potential in a country like India. “But it’s a pity we have no good illustrations”, I concluded. In those days, remember, most printing was still done in black and white in the traditional way. Printers would ‘compose’ text by inserting character by character on a master frame. Pictures were added by placing plates with line drawings, also called ‘blocks’, within the text. Frames – holding text and image – were stretched across drums of a printing press. There they were ‘inked’ and then pressed on paper. But when he saw that I was not going to give up, he gradually relented. He began to realise that those illustrations would mean a lot to us. He led the way into a gigantic hall which housed one of their printing presses. He moved a tall ladder, at least 30 feet high, from a corner to the center of the hall where he balanced it against a beam in the ceiling. Then he climbed up all the way up to a hatch in the ceiling which he opened. It gave access to a store in the loft. He disappeared into the loft. After about twenty minutes he came down from the loft carrying a rather heavy wooden box. It contained 50 lead plates, each of A4 size. Each plate held line drawings on one side. The illustrations proved to be incredibly well done, showing life in Jesus’ time without betraying a European origin, portraying important scenes narrated in the Gospels. In other words: they were a really fantastic find. Bellarminus gave me full permission to use them for my book. 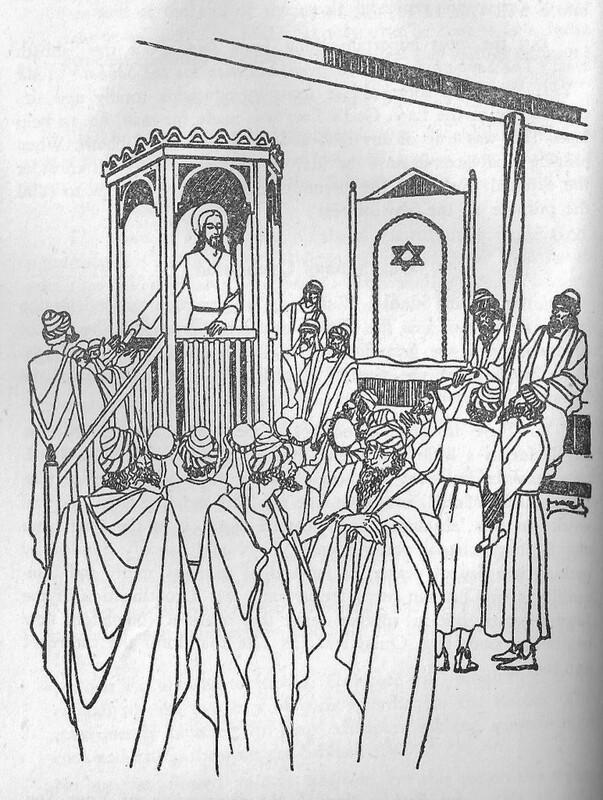 Jesus preaching in the synagogue of Nazareth. From Background to the Gospels. But I still had to get them into India. My problem was their bulk. They weighed about twelve kilograms. In those days weight limitations were strict. An airline passenger was allowed 20 kg for one registered suitcase, and 10 kg for hand luggage. Both my cases were already bulging with supplies I had bought for my work in India. What to do? The solution I found was simple. With needle and thread I attached as many plates as possible right across the front and back of my vest and underpant. I stuck them into my socks. I sowed plates into the lining of my jacket and coat. I literally was carrying a suit of heavy body armor under my clothes. The flight to New Delhi took a sweaty 14 hours with a long fuelling stop in the Middle East. Then another 3 hours from New Delhi to Hyderabad. But in those pre-hijack days I did not need to undergo body checks or pass through X-ray machines. So the plates arrived safely, adding wonderful illustrations to the many printed editions that were to follow. With St Paul’s Publications off the cards, where was I to publish the book? Fortunately Theological Publications in India was born at that time. As a follow-up to Vatican II, seminary professors from all over India met to discuss common problems and find common solutions. I too was a part of that nation-wide consultation. And one of the biggest obstacles facing every theological college was the cost of textbooks. At the time, all textbooks had to be imported from abroad. A basic theological manual that cost, let’s say, £ 12 in England, cost Rs 720 in India since the exchange rate was 1 x 60. Simply impossible. And students needed manuals re theology, scripture, canon law, liturgy, church history and so on. The only viable solution was to re-print the books in India, or at least in Asia. I was one of the members of a small planning group, which was led by Father Raymond Rossignol MEP who was then the rector of St Peter’s Major Seminary in Bangalore. The result was the establishment of a charity, Theological Publications in India, which obtained printing rights from foreign publishers and produced original Indian books too. TPI agreed to publish Background to the Gospels and sell it for a cheap price. The book soon became a standard handbook in noviciates, seminaries and training institutes for catechists. I do not know how many editions were printed. There were many. Meanwhile I extended the contents of the book with four new chapters to deal with the more complex process of gospel formation. The illustrations from the Netherlands were added, as well as a new table of contents. The standard copy gave a student a book of 344 densely printed pages. American edition of Background to the Gospels.. It did not stay there. Translations, printed by local centres, appeared in various Indian languages: Telugu for Andhra Pradesh, Kanada for Mysore State, Hindi for Northern India and Urdu for Pakistan. By chance I discovered a Malayalam edition, printed in Trichur, for the State of Kerala. They had not even bothered asking me for permission . . . The English version also went abroad. 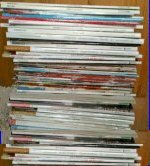 TPI editions were bought up in various Asian countries. I also found copies in bookshops in East Africa. Then separate English editions appeared in Malaysia and in the Philippines. The book was adapted for catechetical use in the UK as the Scripture Comes Alive Series, in three volumes. An illegal edition of Background to the Gospels was sold for some years, without my knowledge, in the United States. Later, Servant Books of Ann Arbor, Michigan, brought out an adapted edition of 300 pages as Handbook to the Gospels. So many editions must have made me rich, you will think. Not so. Only a few publishers gave me a small royalty. I want it to go on record that, in spite of Background to the Gospels being such a best seller and the fruit of my hard work, I did not really benefit from it financially. It has been one of my gifts to the biblical movement: Vatican II’s vision of a greater appreciation of sacred scripture in the Catholic community. Other books followed, a catalogue of publications that may seem boring to you. Bear with me. They represent a great deal of creative thinking no less than toil and sweat on my part. I wrote Christ’s Idea of Authority in 1975. It contained meditations on Scripture to reflect on issues such as paternalism, collegiality and team work. English and Telugu editions came out simultaneously. An US edition appeared in the 1980’s. At the request of James Kottoor, the editor of the Catholic weekly New Leader in Madras, I wrote a column which was headed ‘Meditations on Old Testament Laws’. These were later published as a new series in the Telugu Catholic weekly Bharata Mithram [= ‘India’s Friend’]. In 1978 these were published as Brathuku Baata [= ‘The Path to Life’]. The book consisted of 198 pages. When teaching my students in the Seminary or lecturing to priests in pastoral orientation workshops, I found that the Old Testament proved a thorn in the flesh. Indians were rightly upset about the fact that inspired books could contain so much racism, destruction, cruelty condoned in the name of God. I created a complex course to explain the many principles of a correct interpretation of scripture – an interpretation that would do justice the human aspects of the Bible. It resulted in God’s Word to Israel which was published by TPI in 1971 (3 editions). Reading God’s Word to Others was based on talks I gave to lay people and religious who, in the wake of Vatican II, were called upon to read scripture at Mass. I recommended a short introduction of one or two sentences before each reading to explain its key message and decode misunderstandings. It resulted in a book published by Asian Trading Corporation, Bangalore in 1973. A Dutch version came out with the Katholieke Bijbelstichting in 1974, followed later by an edition in England (1981). In the early 1970’s I helped found the Catholic Biblical Association of India which brought together scripture professors from all over the country. I functioned as its secretary and as such represented India at conferences of the World Federation of Catholic Biblical Apostolate. In 1978, as Vicar General of the Mill Hill Missionaries, I had a chance encounter with Jos van de Valk, then secretary of the Federation. He told me that an important speaker had, at the last minute, withdrawn from the next General Assembly to be held in Malta. He implored me: “Would you, please, take his place?” Topic: biblical spirituality. Because biblical spirituality meant a lot to me, I said “Yes”. I only had six weeks to prepare my talk. I decided not to make it a learned exposition, but a profound reflection on what God’s word can mean in someone’s daily life. I would illustrate my principles with examples of prominent saints and leaders who had been inspired by sacred scripture. The Assembly in Malta turned out to be a huge international gathering. To my good fortune, the speakers before me proved a disaster. An expert on St Paul spent an hour outlining the six different meanings of the word pistis – ‘ faith’ – in the Letter to the Romans. I saw the audience of biblical activists either groan with frustration or fall asleep out of boredom. It set the perfect stage for my own down-to-earth, gusty, lively, interesting depiction of how scripture can inspire us. My talk received roaring acclaim. Biblical Spirituality was republished many times: for instance in the WFCBA Bulletin (1978); the UK Scripture Bulletin (1978); Millhilliana (1978); Africa Service Bulletin (1979); and Word and Worship (1979). It also appeared as a leaflet in the Netherlands (Dutch), Hongkong (Chinese), Papua New Guinea and London. Geoffrey Chapman, owner of the publishing house that bears the same name and who had been present in Malta, invited me to write a whole book on biblical spirituality. I took up the challenge. But I enlarged my presentation in Malta by making the encounter with God the central focus of the book. It resulted in Experiencing Jesus. Chapman was not able to publish it because of events in his publishing house, but he introduced me to Ave Maria Press in the USA. They published the book with the subtitle: “Scripture, the witness of saints and mystics, and a life of prayer show the way” (1981). Its two editions sold 26,000 copies. TPI in India published it as Come and See (1981; 3 editions totaling 15,000 copies). Then there was a Chinese edition (Hong Kong 1984); an edition in the Philippines (Manila 1987); and a Dutch edition (Antwerp 1991).